Copyright © 2014 - 2018, RDG. All rights reserved. First published electronically November 2014. Disclaimer: This article is not intended as an authoritative text. The author cannot be held responsible for your safety. 1.1. Why discuss the toxicity of minerals? Just like optical properties (how the mineral affects light), we can also look at biological activity (how the mineral affects living organisms) as another instrinsic property of a mineral. As such, toxic, medicinal or nutritive properties of minerals make another scientifically meaningful topic to discuss: when mineralogy meets biology! Furthermore, the question of mineral toxicity is recurrent amongst beginner collectors, and this amateur study will try to approach it on the basis of factual toxicological data. However, in order to avoid any overreacting to this article, let's immediately make it clear that, with only a little bit of common sense, building a mineral collection remains quite a safe hobby! An important principle of toxicology is that almost any chemical substance can be harmful if the dose (i.e. the administered amount) is high enough. Which is commonly translated as "the dose makes the poison". While toxicity largely depends on the dose, other important factors to be taken into consideration include the dose-time relationship (as frequency and duration of exposure), and the route of exposure (i.e. oral, cutaneous, inhalation). Bioavailability refers to the extent to which an administered dose will reach the systemic circulation (thereby accessing the site of action). Hydrophobicity, pKa, and solubility of the compound will influence its bioavailability. The Toxicity Class of a compound is a classification system based on acute toxicity. Acute toxicity represents the toxic potential of a compound on the short-term. That is its capacity to produce harmful effects relatively soon after oral or cutaneous administration (as a single dose), or after a 4 hours exposure to the compound in air. 'Relatively soon' is usually defined as minutes, hours (up to 24h), or days (up to about two weeks), but rarely more. The acute toxicity of a compound is represented by its Median Lethal Dose, which is the dose that kills 50% of the tested animals (most often rats or mice). It is written LD50 for oral or cutaneous exposure (as mg/kg of body weight), and written LC50 for inhalation (as mg/m3 of air for solids, or as ppm for gases). So, comparing the median lethal dose of chemicals in animals gives a relative ranking of acute toxicity of each, but it's only an approximative ranking considering that the median lethal dose is as single value which does not indicate the shape of the dose-response curve. Also keep in mind that the tested animals might possibly be more/less sensitive to the compound than humans. It's important to understand that the median lethal dose only addresses short-term toxicity, while the full range of toxicity testing for a chemical should also include subacute/subchronic toxicity, chronic toxicity, carcinogenic, and reproductive (mutagenic, teratogenic) toxicity. The Lowest published Lethal Dose (LDLo, LCLo) is the lowest dosage known to have resulted in fatality in a particular animal species. The Lowest published Toxic Dose (TDLo, TCLo) is the lowest dosage, administered over any given period of time, known to have resulted in any kind of toxic effects (other than death) in a particular animal species. As an example, salt (sodium chloride) oral LD50 in rat is 3000mg/kg, and oral LDLo in man is about 1000mg/kg (for a 70kg man, that would represent ingestion of 70g of salt). For comparison, it is several hundreds times less toxic than sodium cyanide (oral LD50 in rat 6.44mg/kg). Please note that for the purpose of this study, the addition of a 50-100mg/kg category (which isn't found in the official classification system) does make sense, considering that this study will mostly deal with very dense metals/metalloids compounds (so that a toxic quantity might represent a very small volume of the material). While acute toxicity refers to short-term effects from a single exposure, chronic toxicity adresses delayed effects produced by prolonged or repeated lower level exposures. Chronic toxicity results from poison accumulation in the body (cumulative poison), or from cumulative effects. Which can result in very serious health condition. Some compounds show carcinogenic (causes cancer), mutagenic (causes genetic mutations) or reprotoxic (damages the reproductive process) potential, which is a serious concern in case of prolonged/repeated exposures. Objectively, minerals toxicity is mostly an occupational (i.e. professional) issue: people in the mining industry and stone industry (miners, ore smelters, quarry-workers, stone cutters, stone carvers..) are very exposed and need to observe strict safety precautions in regard of prolonged/repeated exposures to powdered minerals, airborne dust, and contaminated waters/sludges. Thus chronic toxicity through oral, dermal, and especially inhalation route has to be taken in consideration (along with possible carcinogenic, mutagenic and reprotoxic effects). However, the context of exposure is quite different for mineral collectors who are mostly dealing with solid mineral pieces, which they will handle only occasionally, thus accidental absorption is way more unlikely than for miners. Radium, Uranium and/or Thorium containing minerals are radioactive (for instance let's mention radian barite, uraninite, thorianite, etc...). Let's also note that some REE minerals can be radioactive (due to some of the REE being replaced by thorium, or more rarely uranium). See www.webmineral.com for case by case estimation of radioactivity (any mineral rated as strongly radioactive or very strongly radioactive definitely requires some caution). -direct radioactivity from the mineral samples themselves: prolonged/repeated exposures at close distance are hazardous, the annual exposure limit for the general public being set at 1mSv/year (on top of local background noize). -fine radioactive volatile dust which separates from the samples and may become airborne: ingestion and inhalation hazard (the main concern here is inhalation which is more harmful). -radioactive radon gas that emanates from the samples (and airborne radon daughters): inhalation hazard. Radon gas is invisible, ordorless and much heavier than air. The health hazard from radon is mostly related to inhalation of its airborne radioactive decay products (known as 'radon daughters', or 'radon progeny'), especially the short-lived ones. Additional warning about abandoned (thus unventilated) underground uranium mines: accumulation of radioactive airborne dust and radon. Inhalation of coal or graphite dust over a long period of time can lead to a lung disease known as Coal workers' pneumoconiosis. This is a miner's disease and it's obviously not a concern to mineral collectors. Prolonged/repeated inhalation of microscopic airborne fibers from those minerals can lead to asbestosis and cancer (mesothelioma and lung cancer), exposures are cumulative. Let's note that miners working in a serpentinite, talc or vermiculite quarry might be exposed, as those can be associated to asbestos. Other minerals which can occur in fibrous asbestiform habit and which are known or suspected to cause mesothelioma include Erionite, Magnesio-riebeckite, Fluoro-edenite, Winchite, Richterite, Antigorite, Nemalite, Palygorskite, and to a lesser extent Sepiolite. However, in the case of brief occasional exposure to low concentrations of asbestos fibers, the probability of any future health issue can be expected to be very low. Which means that while asbestos is a serious occupational concern, on the other hand, without storing large quantities, minerals collectors should be rather safe. Prolonged/repeated inhalation of crystalline silica dust can lead to silicosis, and lung cancer. Of course, silicosis can result from chronic inhalation of dust from any rock containing or contaminated with substantial amounts of free silica (see link below). However, some brief or casual exposure to low concentrations of crystalline silica won't result in silicosis. So, while it isn't a concern to mineral collectors, silicosis still remains a serious concern for miners, quarry-workers, stone cutters/carvers, and also gemcutters. Acute toxicity can be a concern to mineral collectors, but mainly by oral route (as accidental ingestion of a toxic quantity). Indeed mineral collectors aren't supposed to be exposed to powdered compounds thus acute inhalation toxicity shouldn't be a concern, and significant dermal absorption could be expected to be rather unlikely just from occasional handling of a solid piece. So, concerning acute toxicity, this study will essentially focus on oral route of exposure. As a preliminary step, let's establish a rough ranking of the acute toxcity potential by oral route of different chemical elements by investigating the oral LD50 value in rats or mouse of "simple" inorganic salts of each element (elemental form, chlorides, oxides, sulfides, sulfates, nitrates, hydroxides, carbonates, salts with sodium...which of course don't necessarly have any natural counterpart). Elements investigated: Ag, Al, As, B, Ba, Be, Bi, Br, Ca, Cd, Ce, Co, Cr, Cu, F, Fe, Ga, Gd, Ge, Hg, In, K, La, Li, Mg, Mn, Mo, Na, Nb, Nd, Ni, Os, P, Pb, Pd, Pr, Sb, Sc, Se, Si, Sn, Sr, Ta, Te, Ti, Th, Tl, U, V, W, Y, Zn, Zr. ->mercury, selenium, arsenic, phosphorus (but low toxicity as phosphate group), thallium, tellurium, vanadium, and chromium(VI). Some of their inorganic compounds are highly toxic, with oral LD50 in rat/mouse that is less than 50mg/kg. ->Concerning uranium and thorium salts, there isn't much LD50 data available. The benchmark for uranyl toxicity is uranyl acetate with oral LD50 in rat/mouse between 200 and 250mg/kg, which would qualify as moderate acute toxicity by oral route (which is also consistent with uranyl nitrate data: oral LD100 in mouse 350mg/kg). Some soluble thorium compounds are also considered to exhibit moderate acute toxicity by oral route (although soluble thorium nitrate actually shows lesser acute toxicity, with oral LD50 in mouse 1760mg/kg). ->concerning the other elements that were investigated: their inorganic compounds ususally show moderate to low acute toxicity potential with oral LD50 in rat/mouse mostly higher than 200mg/kg (and even way higher than 500mg/kg for many of these), which means that immediate poisoning from a single exposure is unlikely to occur accidentally (as that would require higher doses). As a side note, let's mention that many inorganic compounds showing significant acute toxicity by oral route (i.e. oral ld50 less than 150mg/kg) will also show significant acute toxicity by inhalation route. Besides, there were few inorganic compounds showing significant acute toxicity by dermal route (which was mainly encountered amongst mercury II compounds, water-soluble thallium salts, and some fluorides). Anyway, as already explained, these are not our main exposure concerns here. So, this initial sorting shows us that some elements have more significant acute toxicity potential by oral route than others (i.e. mainly those potentially forming compounds with oral ld50 under 150mg/kg), however the toxicity of minerals showing a significant content of these elements will largely depend on their bioavailability, and in a general way, acute toxicity by oral route should be investigated amongst minerals that have decent solubility in either water, hydrochloric acid, alcohol, or aqueous sodium bicarbonate (as those would dissolve in gastric acid or intestinal base). Starting from that point, acute toxicity of minerals by oral route will be investigated (case by case) in the next chapter. Most elements which have significant acute toxicity potential (see previous paragraph) also have the potential for significant chronic toxicity in case of prolonged/reapeated exposures by oral, inhalation or, in some cases, dermal route. However, that is also the case for some elements which inorganic compounds only rank as moderate to low acute toxicity, notably inorganic compounds of lead and antimony. Chronic exposure to uranium and thorium inorganic compounds also represents a serious hazard, as they show both some chemical toxicity (especially uranium which is nephrotoxic) and radiotoxicity. Prolonged/repeated exposures is a serious occupational concern (notably in the mining industry), but such context of exposure doesn't apply to mineral collectors. For completeness sake, it should probably be mentioned that while this study is focusing on inorganic (i.e. mineral) compounds, toxicity of organic compounds is a completely different matter. Indeed, some organic lead or tin compounds are way more toxic than inorganic lead or tin compounds, many organophosphates are also very toxic compared to the relatively low toxicity of inorganic phosphates, while at the opposite organic arsenic tends to be a bit less toxic than inorganic arsenic. Let's also mention the toxicity of antimony potassium tartrate. Of course I didn't bother to investigate toxicity of elements in organic form as, unless chemically processing the inorganic compounds into organic ones, that is not a concern. This chapter will investigate the acute toxicity of minerals by oral route, case by case, on the basis of their oral LD50. For comparison purposes, a few minerals of lesser toxicity will also be mentioned, which should allow some perspective. -Some other HCl soluble mercury(II) minerals (for instance terlinguaite, kleinite) might possibly show serious acute toxicity (with skin absorption also likely), but this couldn't be confirmed as there isn't any available toxicological data for such compounds. Let's note that, in a general way, Hg(II) compounds are usually more soluble and thus more toxic than Hg(I) analogue compounds. -Cinnabar (and metacinnabar): HgS, insol.HCl and insol.H2O (very poor gastrointestinal absorption thus low acute toxicity by oral route). However, while cinnabar itself shows low acute toxicity, beware that native mercury (which vapours are highly toxic by inhalation) might be present in some cinnabar samples (especially massive samples). Also note that heating cinnabar can release mercury vapours. -let's note that some other soluble selenite minerals (for instance sofiite, mandarinoite, molybdomenite, ahlfeldite, zincomenite) might possibly show significant acute toxicity, but this couldn't be confirmed as there isn't any available toxicological data for such compounds, anyway these are rare and microscopic species. -selenium sulfides and selenides: most are insoluble, but a few HCl soluble ones might possibly show significant acute toxicity, however this couldn't be confirmed as there isn't any available toxicological data for such compounds. However, while orpiment itself is only moderately toxic, beware that arsenolite (highly toxic) might be present as a decomposition product in some unstable orpiment samples (especially powdery/crumbly massive samples). -arsenic sulfides and arsenides: most are poorly soluble and these usually range from moderately toxic to low acute toxicity by oral route. Still, they can be toxic in case of prolonged/repeated exposure by inhalation or ingestion. -other soluble arsenites and arsenates: oral LD50 values unavailable, but a few ones might possibly be toxic (i.e. oral LD50 below 100mg/kg), although most would probably only qualify as moderately toxic. Let's note that arsenic(III) compounds are usually more toxic than arsenic(V) analogue compounds. Low acute toxicity as inorganic phosphate group, but some phosphides can be toxic. However, the only phosphide mineral worth mentionning would be Schreibersite: (Fe,Ni)3P, insol.H2O and insol.HCl (oral LD50 unavailable but acute toxicity by oral route is likely low). Then, there is the questionable case of native phosphorus (P4), which was once suspected in a meteorite sample, but never proven (hypothetically, if it had been occuring in its white form allotrope then it would qualify as highly toxic: oral LD50 rat 3.03mg/kg, mouse 4.82mg/kg). -let's note that some other soluble tellurite and tellurate minerals (for instance emmonsite?) might possibly qualify as toxic or moderately toxic, but this couldn't be confirmed as there isn't any available toxicological data for such compounds. -tellurium sulfides and tellurides: I'd expect their acute toxicity by oral route to range from moderate to low, but there isn't any available toxicological data for such compounds. -let's note that chromium(III) compounds are usually low acute toxicity by oral route. -let's note that some other soluble fluoride minerals (for instance water-insoluble heklaite?) might possibly show some toxicity, but this couldn't be confirmed as there isn't any available toxicological data for such compounds. -Water soluble tetrafluoroborates minerals Avogadrite, Barberiite and Ferruccite: I'd expect moderate to low acute toxicity by oral route (according to the MSDS for sodium, potassium and ammonium tetrafluoroborates, which only give those as corrosive/irritants). -Let's note that some other HCl soluble beryllium minerals might possibly qualify as toxic or moderately toxic (for instance, moraesite and glucine?) but this couldn't be confirmed as there isn't any available toxicological data for such compounds. -Chalcopyrite and Chalcocite are insoluble copper sulfides thus expected to show very low acute toxicity by oral route. 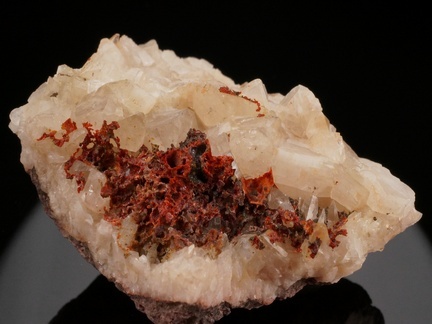 -Radian barite (aka radiobarite): (Ba,Ra)SO4, which is the only existing radium mineral, is insoluble in water and rather insoluble in HCl, the radium content might be about 0.01% bw (although some specimens might show higher content). Acute oral toxicological data unavailable. 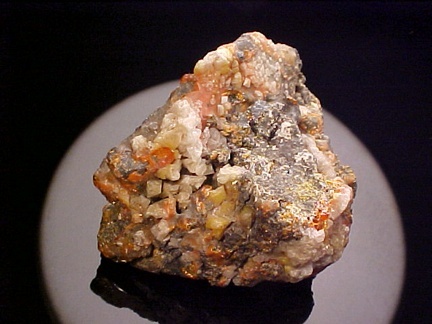 Level of radioactivity in radian barite may vary greatly depending on sample origin, however the 'hottest' specimens might be extremely radioactive and should be considered very dangerous in case of ingestion, inhalation, or from any prolonged skin contact. Indeed, in a worst-case scenario, the article 'Here be dragons' (by Alysson Rowan) gives an estimated specific dose as high as 5.02799 mSv/hr for a 100g sample at 1m distance. And webmineral.com gives an estimated exposure of 44452.81mRem/hr (that is 444.5281mSv/hr) if a 100g sample was to be held in the hand for one hour. Moreover, let's note that the 'hottest' samples of radian barite should also be expected to evolve lots of radon gas (and radon daughters). This being said, the 'hottest' radian barite samples are mostly recovered from industrial activities (i.e. as scaly precipitates on oil industry equipment). Anyway, one might use a dosimeter to check how 'hot' a radian barite specimen actually is. There are many HCl soluble uranium minerals (for instance Ianthinite, Becquerelite, Rutherfordine, Uranopilite, etc...), and even a few water soluble ones (Grimselite and Andersonite for instance). Based on established oral LD50 of a few soluble laboratory uranyl salts (200 to 250mg/kg in rat and mouse), some soluble minerals might also be expected to show moderate acute toxicity by oral route. There are also a few HCl soluble thorium minerals, and some soluble thorium minerals might possibly also show moderate acute toxicity by oral route. However, while uranium/thorium minerals can be expected to show moderate to low acute toxicity by oral route (depending on the species), they should be considered hazardous in case of ingestion and especially inhalation, as they combine both some chemical toxicity (mostly for uranium) and radiotoxicity. Oral LD50 mostly higher than 500mg/kg for anglesite (PbSO4), galena (PbS), litharge (PbO), minium (Pb3O4), cerussite (PbCO3), cotunnite (PbCl2). However, while lead minerals tend to show rather low acute toxicity by oral route, those can still be seriously toxic in case of prolonged/repeated exposures by inhalation or ingestion. Oral LD50 higher than 500mg/kg for native antimony (Sb), stibnite (Sb2S3), valentinite and senarmontite (Sb2O3). Antimony minerals tend to show rather low acute toxicity by oral route. Still, prolonged/repeated exposures by inhalation or ingestion might cause some toxicity. Manganese minerals may show moderate (for instance water soluble Scacchite MnCl2) to low acute toxicity by oral route (for instance HCl soluble pyrolusite MnO2). Let's still note that prolonged/repeated exposures by ingestion and especially inhalation may cause neurotoxicity (manganism). So, while I might have missed a few significantly toxic minerals due to lack of any available LD50 data (possibly amongst arsenites and arsenates for instance), we can see that there are actually few toxic (LD50 less than 100mg/kg) or highly toxic (LD50 less than 50mg/kg) minerals, and most of these are rare (and often microscopic) species. Still, such minerals deserve some caution as accidental absorption could be a possibility, especially considering that these are rather dense minerals so that a toxic dose might be the size of a pea or less. However, let's put things into perspective by outlining that most soluble minerals containing potentially toxic elements are only showing moderate (LD50 from 100 to 500mg/kg) to low (LD50 higher than 500mg/kg) acute toxicity by oral route. Which means that the toxic dose will represent a significant volume of the material, thus it is very unlikely that a mineral collector would ever accidentally poison himself just from handling the specimen. So, I've been thinking of which minerals would deserve a warning, and what would be the most appropriate way to formulate such safety precautions, case by case. Please keep in mind that this list is not exhaustive. WARNING: Contains mercury in bioavailable form. Highly toxic if ingested, or if inhalation of powder, and also by skin contact. Volatile at ambient temperature. Never lick, ingest or sniff, avoid skin contact, thus wear disposable nitrile gloves for handling, and always wash hands immediately after handling, do not generate dust by grinding or sawing. Keep in an airtight box, away from light and heat. WARNING: Contains mercury in bioavailable form. Highly toxic if ingested, or if inhalation of powder, and also by skin contact. Never lick or ingest and always wash hands immediately after handling, do not generate dust by grinding or sawing, avoid prolonged skin contact. WARNING: Contains mercury in bioavailable form. Never lick or ingest and always wash hands immediately after handling, do not generate dust by grinding or sawing, avoid prolonged skin contact. WARNING: Contains selenium in bioavailable form. Highly toxic if ingested, or if inhalation of powder. Never lick or ingest and always wash hands after handling, do not generate dust by grinding or sawing. WARNING: Contains selenium in bioavailable form. Water soluble mineral. Highly toxic if ingested, or if inhalation of powder. Never lick or ingest and always wash hands after handling, do not generate dust by grinding or sawing. WARNING: Contains arsenic in bioavailable form. Water soluble mineral. Highly toxic if ingested, or if inhalation of powder. Never lick or ingest and always wash hands immediately after handling, do not generate dust by grinding or sawing. WARNING: Contains thallium in bioavailable form. Highly toxic if ingested, or if inhalation of powder. Never lick or ingest and always wash hands after handling, do not generate dust by grinding or sawing. WARNING: Contains thallium in bioavailable form. Water soluble mineral. Highly toxic if ingested, or if inhalation of powder. Never lick or ingest and always wash hands after handling, do not generate dust by grinding or sawing. WARNING: Contains thallium in bioavailable form. Never lick or ingest and always wash hands immediately after handling, do not generate dust by grinding or sawing. WARNING: Contains selenium in bioavailable form. Toxic if ingested, or if inhalation of powder. Never lick or ingest and always wash hands after handling, do not generate dust by grinding or sawing. WARNING: Contains arsenic in bioavailable form. Toxic if ingested, or if inhalation of powder. Never lick or ingest and always wash hands after handling, do not generate dust by grinding or sawing. WARNING: Contains vanadium in bioavailable form. Water soluble mineral. Toxic if ingested, or if inhalation of powder. Never lick or ingest and always wash hands after handling, do not generate dust by grinding or sawing. WARNING: Contains chromium in bioavailable form. Water soluble mineral. Toxic if ingested, and very toxic if inhalation of powder. Never lick or ingest and always wash hands after handling, do not generate dust by grinding or sawing. WARNING: Contains fluorine in bioavailable form. Water soluble mineral. Toxic if ingested, or if inhalation of powder. Never lick or ingest and always wash hands immediately after handling, do not generate dust by grinding or sawing. WARNING: Contains fluorine in bioavailable form. Water soluble mineral. Toxic if ingested, or if inhalation of powder, and also by skin contact. Never lick or ingest and always wash hands immediately after handling, do not generate dust by grinding or sawing, avoid prolonged skin contact. WARNING: Contains fluorine in bioavailable form. Toxic if ingested, or if inhalation of powder. Never lick or ingest and always wash hands after handling, do not generate dust by grinding or sawing. WARNING: Contains cadmium in bioavailable form. Toxic if ingested, and very toxic if inhalation of powder. Never lick or ingest and always wash hands after handling, do not generate dust by grinding or sawing. WARNING: Contains cadmium in bioavailable form. Water soluble mineral. Toxic if ingested, and very toxic if inhalation of powder. Never lick or ingest and always wash hands after handling, do not generate dust by grinding or sawing. WARNING: Contains beryllium in bioavailable form. Toxic if ingested, and very toxic if inhalation of powder. Never lick or ingest and always wash hands after handling, do not generate dust by grinding or sawing. WARNING: evaporates at ambient temperature and inhalation of highly toxic vapours should be avoided, thus keep in an airtight box and away from heat. WARNING: Contains radium. Some specimens might be dangerously radioactive. Never lick, ingest or sniff. Minimize manipulations, wear disposable nitrile gloves, and always wash hands immediately after handling. Never generate dust by grinding or sawing so to avoid inhalation/ingestion of dust. Avoid long exposures at close distance, thus do not store in rooms where you spend most of your time (not in bedroom). Radioactive minerals evolve radioactive radon gas and should thus be stored in well-ventilated area (not in a confined basement). Keep away from food/kitchen. 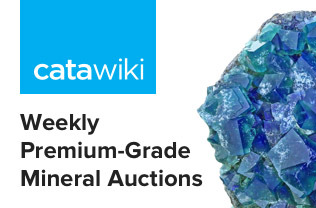 Keep radioactive minerals in limited quantities (and radian barite in very limited quantity). SAFETY PRECAUTIONS: Contains significant quantity of uranium and/or thorium. Radioactive mineral. Do not lick or ingest. Avoid prolonged manipulations, and always wash hands after handling. Do not generate dust by grinding or sawing so to avoid inhalation/ingestion of dust. Avoid long exposures at close distance, thus do not store in rooms where you spend most of your time (not in bedroom). Radioactive minerals evolve radioactive radon gas and should thus be stored in well-ventilated area (not in a confined basement). Keep away from food/kitchen. Keep radioactive minerals in limited quantities. SAFETY PRECAUTIONS: Contains tellurium in bioavailable form. Do not lick or ingest and wash hands after handling, do not generate dust by grinding or sawing so to avoid inhalation/ingestion of dust. SAFETY PRECAUTIONS: Contains arsenic in bioavailable form. Do not lick or ingest and wash hand after handling, do not generate dust by grinding or sawing so to avoid inhalation/ingestion of dust. Beware that arsenolite (highly toxic) might be present in some orpiment samples (especially powdery/crumbly massive samples). SAFETY PRECAUTIONS: Contains arsenic in bioavailable form. Do not lick or ingest and wash hands after handling, do not generate dust by grinding or sawing so to avoid inhalation/ingestion of dust. SAFETY PRECAUTIONS: Contains mercury in bioavailable form. Do not lick or ingest and wash hands after handling, do not generate dust by grinding or sawing so to avoid inhalation/ingestion of dust. SAFETY PRECAUTIONS: long-term inhalation of quartz dust (or dust from quartz-rich rocks) can lead to silicosis thus avoid dry-sawing and dry-grinding. If regularly exposed to quartz dust, apply dust control measures. SAFETY PRECAUTIONS: inhalation of dust (fibers) from the asbestiform variety is hazardous, thus do not generate dust by grinding or sawing, do not lick or ingest, and wash hands after handling. SAFETY PRECAUTIONS: Contains nickel in bioavailable form. Water soluble mineral. Do not lick or ingest and do not generate dust by grinding or sawing so to avoid inhalation/ingestion of dust. SAFETY PRECAUTIONS: Contains cobalt in bioavailable form. Water soluble mineral. Do not lick or ingest and do not generate dust by grinding or sawing so to avoid inhalation/ingestion of dust. SAFETY PRECAUTIONS: Contains copper in bioavailable form. Water soluble mineral. Do not lick or ingest and avoid generating dust by grinding or sawing so to avoid inhalation/ingestion of dust. SAFETY PRECAUTIONS: Contains barium in bioavailable form. Water soluble mineral. Do not lick or ingest and avoid generating dust by grinding or sawing so to avoid inhalation/ingestion of dust. SAFETY PRECAUTIONS: Contains barium in bioavailable form. Do not ingest and avoid generating dust by grinding or sawing so to avoid inhalation/ingestion of dust. SAFETY PRECAUTIONS: Contains copper in bioavailable form. Do not ingest and avoid generating dust by grinding or sawing so to avoid inhalation/ingestion of dust (otherwise, cut it wet and apply dust control measures). SAFETY PRECAUTIONS: Do not heat. Avoid dry-grinding and dry-sawing so to avoid inhalation/ingestion of dust, and so to avoid overheating. Beware that native mercury (which vapours are highly toxic by inhalation) might be present in some cinnabar samples (especially massive samples). -do not put your hand to your mouth or eat/drink/smoke during the manipulation of samples. -after manipulating samples, clean work surface from the dust (using moist disposable paper-towel). Manipulating samples over a large sheet of paper (that will be folded and discarded afterwards) would also help with avoiding dispersion of fibers. -wash your hands (use soap) immediately after you're done. -storing specimens inside individual transparent airtight boxes would allow to confine the fibers (then, when you need to manipulate the sample itself, it is suggested to first ventilate the box outdoor). 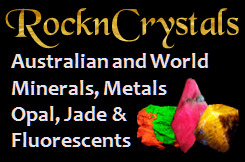 -quartz and quartz rich rocks should be polished/grinded/sawed wet (along with treatment of wastewater). -moistening the workplace (with water hose) will prevent deposited dust from getting airborne. -regularly clean the workplace (floor, work surface, equipment) so to prevent accumulation of dust (use water hose and wet sweeping). -wear disposable or washable work clothes (washed daily). Change into clean clothes (and if possible shower) before leaving the workplace (this will avoid contaminating your car and home). If you couldn't shower at the worksite, do it as soon as you get back home. -avoid eating/drinking/smoking in dusty areas, wash hands and face before eating/drinking/smoking. -prohibit abrasive materials containing more than 1% crystalline silica (substitute less hazardous abrasive materials). -proceed to periodic air quality monitoring in the workplace (exposure limit for respirable crystalline silica dust is set at 0.05mg/m3) and provide periodic medical examinations for all exposed workers. -if the specimen is powdery (for instance some powdery orpiment samples), you might place it inside a transparent plastic box (so to confine the dust and allow easy manipulations). -do not generate dust by grinding or sawing (so to avoid inhalation/ingestion of dust). If required (i.e. in the context of some professional activity), apply the same safety procedures than for silicosis prevention. -keep out of young children's reach. -mention the nature of the hazard on the sample label. -never generate dust by grinding or sawing (so to avoid inhalation/ingestion of dust). -never heat/burn or chemically attack such minerals. -don't manipulate with bare hands if you have any cuts or grazes on your hands/fingers. -avoid prolonged or repeated skin contact with minerals which are known for skin absorption (or wear disposable nitrile gloves). -for easier manipulations, place water-soluble minerals, and minerals known for skin absorption, and minerals which are volatile at room temperature inside individual airtight boxes made of transparent plastic. -after manipulating samples, clean work surface from the dust (using disposable paper-towel). Manipulating samples over a large sheet of paper (that will be folded and discarded afterwards) would also help with avoiding dispersion of dust. -thoroughly wash your hands (use soap) immediately after you're done (even when you have been wearing gloves). -do not lick or ingest. -do not handle more than necessary, avoid prolonged manipulations. If prolonged manipulation is required, wear disposable gloves (also, for lesser hand exposure, it is advisable to work 'hands off' as much as possible). Special case: some specimens of radian barite might be extremely radioactive, for manipulating the 'hottest' samples of radian barite (which are mostly from industrial sources, though), wear disposable nitrile gloves and grasp the specimen by means of forceps/tongs, and keep manipulations to an absolute minimum. -do not generate dust by grinding or sawing (so to avoid inhalation/ingestion of dust). -do not heat/burn or chemically attack such minerals. -after manipulating radioactive samples, clean work surface from the dust (using moist disposable paper-towel). Do not manipulate radioactive minerals over porous surfaces (such as unsealed wood). Manipulating samples over a large sheet of paper (that will be folded and discarded afterwards) would also help with avoiding dispersion of dust (preferably use impermeable paper such as Kraft or Benchkote). -radioactive minerals evolve radioactive radon gas and should thus be stored in well-ventilated area (i.e. not in a confined basement). -avoid long exposures at close distance, thus do not store radioactive minerals in rooms where you spend most of your time (i.e. not in bedroom, living room, or work office). -storing samples inside individual airtight boxes made of transparent plastic would allow to confine radioactive dust. Then, when you need to manipulate the sample itself, it is suggested to first open the box outdoor and allow to ventilate for a while (ideally for at least an hour). Let's note that micaceous species (autunite, torbernite, uranocircite, zeunerite..) easily release dust. -conform to exposure limits: the annual radiation exposure limit for the general public is set at 1mSv/year (on top of local background noize). Conforming to exposure limits is a matter of storing limited quantities of radioactive minerals, and evaluating the time of exposure at a given distance. *let's first note that tiny specimens (micromounts, thumbnails) are a practical alternative for building a radioactive mineral collection (indeed lesser quantities means less radiations). But use a microscope rather than a loupe for observing the samples (lesser eye exposure). *get a dosimeter so to make sure that you're not exceeding radiation exposure limits (test in the storage room and also in adjacent rooms). If approaching the limit, consider some lead shielding. *Shielding considerations: the inner lining of the mineral cabinet should be made of either 2.5cm thick plywood or 1cm thick plexiglas (that will absorb most beta particles before they can reach the lead layer, which is important to keep braking radiation low). Then lead sheet (6mm thick) is sandwiched between the inner wood/plexiglass lining and the outer lining of the mineral cabinet. Any wooden surface must be sealed (use some high gloss varnish such as floor or yacht varnish or some hard-surface paint such as is used on cars). *for display purpose, one might consider using lead glass for the viewing side of the cabinet (lead equivalencies for 7mm and 14mm thick lead glass are respectively 1.6 and 3.2mm of lead sheet). Ideally, specimens should be placed at least 10cm from the viewing window. *a sealed airtight mineral cabinet would advantageously avoid dust and radon build-up in the room/house. Ideally, such sealed cabinet could also feature an outdoor ventilation system (i.e. vented to the outside of the building), so to avoid radon build-up inside the closed cabinet. *whenever you need to rearrange the display, the mineral cabinet should first be left to air for 3 hours before proceeding (so to allow short-lived radon daughters to decay). *storage room must be kept clean and very well-ventilated (i.e. to avoid accumulation of radioactive dust and radon). Air extraction should be at floor level (considering that radon is much heavier than air and tends to stay down). *Avoid porous/fibrous surfaces (such as floor carpeting, upholstered furnitures, unsealed wood, etc.) in the storage room. Indeed, you want to avoid materials that tend to catch dust, so that the room can be cleaned easily. For instance, consider linoleum/vinyl flooring, etc. *set a radon gas detector (about 1 meter from the floor) in the storage room. *never smoke in the storage room. *pregnant women shouldn't linger in the storage room. *if trimming of a radioactive mineral sample is required, this should be done with specimens and tools confined inside a thick transparent plastic bag (to avoid dispersion of dust and fragments), using tools that produce as little dust as possible (i.e. keep hammering to an absolute minimum, do not dry-saw, use a rock trimmer instead), and wearing a disposable dust mask and disposable gloves. The tools shall be rinsed afterwards and the bag sealed and discarded. -when attacked by acids, fluorides or fluorophosphates (for instance fluorite, cryolite, fluorapatite..) will yield hydrofluoric acid in solution (this acid causes severe burns, it is also quite toxic by ingestion as well as skin contact, and with toxic vapours. Also note that HF attacks glass). -when HCl reacts with strong oxidizing agents (for instance minium, plattnerite, manganese oxides such as pyrolusite, psilomelane, hausmannite, manganite, braunite..), then chlorine (toxic gas) is evolved. -when attacked by acids, minerals containing toxic elements will yield a toxic solution. When working with acids, wear appropriate protective gloves and protective goggles. Proceed in a well ventilated area (preferably outdoor), and do not seal the container where the reaction is taking place. Of course keep it out of children reach and label it so to warn people that the content isn't water but acid. Also keep in mind that diluting an acid should be done by progressively adding the acid to the water (not adding the water to the acid). This study has been reviewing the potential acute to chronic toxicity from exposure to some specific minerals (either as radiotoxicity, physical toxicity or chemical toxicity), however while people in the mining industry and stone industry are very exposed, the context of exposure is obviously quite different for mineral collectors who should be on the safe side as long as some simple safety precautions are observed in the handling and storage of a very limited number of potentially hazardous species. Enough with poisons, now what about happiness stone? Let me share my investigations about Lithium minerals. Most psychoactive substances are organic compounds, but bioavailable inorganic lithium compounds are an exception to the rule. Lithium salts are indeed normothymics, used in psychiatry as mood-stabilizing drug, primarily in the treatment of bipolar disorder, where they have a role in the treatment of depression and particularly of mania. The most commonly prescribed lithium salt being lithium carbonate (brand names: Eskalith, Teralithe...). Unlike many other psychoactive drugs, Li+ typically produces no obvious psychotropic effects (such as euphoria) in normal individuals at therapeutic concentrations. The specific biochemical mechanism of lithium action in mania is not fully understood, but upon ingestion, lithium becomes widely distributed in the central nervous system and would be interacting with a number of neurotransmitters and receptors. However, lithium isn't without side effects, notably renal (kidney) toxicity which may lead to chronic kidney failure (too much lithium can be fatal), and considering that therapeutic dosage is slightly less than the toxic level, blood levels need to be monitored closely during treatment. As there's no directly bioavailable lithium mineral occuring in industrial quantities, lithium must be extracted from other lithium ores or concentrated from lithium rich waters. -Zabuyelite: Li2CO3 (that is lithium carbonate), sol.HCl, moderately sol.H2O, Li 18.79% bw, but it's a rare and microscopic mineral. -Lithiophosphate: Li3PO4, sol.HCl, slightly sol.hot H2O, Li 17.98% bw, crystals (typically as cleavages) can reach 5cm in size. -Nalipoite: NaLi2PO4, sol.HCl, Li 10.53% bw, crystals rarely reach 1cm in size. Of course, I'm not suggesting anyone to medicate with minerals as this could result in serious poisoning, but I'm simply sharing my enthusiasm about such minerals which combine my modest interest in pharmacology with my passion for mineralogy. Edited 189 time(s). Last edit at 10/03/2018 02:32PM by cascaillou. That's an impressive article. Do you have any statistics of how many collectors, curators or mineral dealers have been killed or harmed by the above listed minerals? Relative to collecting accidents, like falling rocks or broken bones, smashed thumbs, vehicle accidents getting to and from localities, shows etc? If you read me carefully, I've been drawing pretty much the same conclusion than what you're suggesting, which is to say that minerals toxicity is essentially a concern to the mining and stone industry (relating to the context of exposure). Which doesn't make minerals pharmacology any less interesting to learn about, if showing any interest in phamacology, of course. Edited 5 time(s). Last edit at 11/11/2014 01:00AM by cascaillou. Yes, but many people reading a lot of the stuff that you have written are going to be fearful to even pick up a specimen. If they don't know what it is on site they will fear that it may be one of the ones you talk about. I doubt that they will sift through all of it and come to the conclusion that they are perfectly safe collecting minerals. Perhaps if you were to emphasize that fact at the top of your article it might ameliorate the overall effect. But even so it will scare away many people. I actually tried to emphasize on that point all through the article (including in the introduction, before even mentioning any mineral, I was already outlining that the toxicity of minerals is essentially an industrial concern). But my article being kind of dense, you're probably right to outline it again. Edited 11 time(s). Last edit at 11/12/2014 10:54PM by cascaillou. The problem is to make sure that your remarks about mineral toxicity are put in perspective. If you could produce some statistics of damage to humans from minerals compared to damage from common every day human activities I think it would reduce the fear your summary will produce. well, at least we've made it clear by now that there's no monster under the bed. Edited 4 time(s). Last edit at 11/13/2014 11:54PM by cascaillou. It is obvious that the writer is interested in the potential toxicity of minerals and has spent a lot of time in researching the topic for which he should be congratulated. However, I believe the article tends to present a one sided and exaggerated view of the danger and is likely to be misinterpreted by many people unless some context is included upfront. Furthermore, I do not believe it honestly answers the question beginning collectors may have about mineral toxicity and is likely lead them to conclude that they should not touch or even be near minerals. It should be emphasized upfront that minerals are quite safe if handled with common sense. They should not be ingested, powdered, or snorted, and people should wash their hands after handling them. I do not know how many collectors have accidentally died or have gotten sick because of mineral toxicity, but that number must be miniscule compared to deaths and injuries caused by common things we do like driving a car, flying, swimming, or just walking on the street (especially if you are in a place like Chicago). So, if you want to be safe, by all means spend more time on your mineral collecting hobby and less time doing those other and so much more hazardous things. With only a little bit of common sense, mineral collecting is quite safe, even though some minerals are toxic. NEWS FLASH! If you want to be safer, do not use contact lenses either. As I am writing this, the latest news report is that contact lenses are hazardous and cause eye infections resulting in over 1,000,000 hospital or doctor visits each year in the USA alone. The bottom line is enjoy your mineral collecting but use common sense ( which seems to be in shorter and shorter supply these days) because some minerals can be dangerous if mishandled, but that danger is miniscule compared other routine things we do and take for granted each day. That context is missing and should be included. John S.
Beginners are often asking about the toxicity of, say, some arsenic or mercury containing mineral they own. My approach of the question was to first outline that bioavailability is a key factor rather than the mere presence of the element, and then illustrated that point by putting in perspective different minerals for each element (on the basis of numerical values). Indeed there's no way around argumentation when writing a science article (rather than jumping straight to a conclusion), although I understand that too much data could be misleading to a beginner. This article isn't directly addressed to beginners anyway, I've rather been trying to set some scientific background to build our answers on, instead of providing beginners with unsupported opinions. Edited 6 time(s). Last edit at 03/31/2017 06:29PM by cascaillou. Interesting, will have to read this more carefully. Regarding radioactive minerals: ca. 90% or so of their radiation comes from alpha particles, which are completely unharmful if not ingested; a paper sheet would stop them; keeping the specimens in a plastic box is a good idea, especially that daughter radon radionuclides are said to be capable of electrostatically catching to plastics. Of some concern is just a dust forming on the mica-like uranium minerals, which are prone to separation to smaller particles due to radiation (and, I suppose, their habit). Edited 7 time(s). Last edit at 03/31/2017 06:23PM by cascaillou. Edited 1 time(s). Last edit at 04/01/2017 02:25PM by Alysson Rowan. Thank you Alysson, that has been a lot of work. For now, I'd prefer to keep my article as is, as it makes it easier to keep it updated regularly. Edited 1 time(s). Last edit at 04/01/2017 06:43PM by cascaillou. Thank you, Alysson! Cascaillou, Alysson: it's good that someone deals with this! As mentioned way up above, when I was an environmental cleanup consultant, I learned that nearly all adverse exposure to toxins is occupational. That is, the day in, day out chronic exposure scenario. Thus collectors have really nothing to fear from their collection, or by even going out and personally collecting them all, save for the actually much more likely physically bad things that can happen - slips, trips and falls being the most common. The biggest risk from a collection in the home is to young children - who often put stuff in their mouths. Part of the need is to educate new collectors to the need for hygeine and restricted access to minerals for small children (or people who suffer from pica) - a throat full of acicular crystals, a stomach full of orpiment or a lung full of fibrous chrysotile is hardly a good idea, after all. Yes, Alysson, I hadnt considered that (I should amend my post to say that nearly all adverse exposure to adults is occupational...). The collection should then just be part of the typical "baby-proofing" that should go on in any home for all sortsa reasons. Edited 27 time(s). Last edit at 10/03/2018 02:34PM by cascaillou.